I had always dreamed of running in a field of sunflowers and my dream came true on Labor Day weekend! We decided to go on the spur of the moment. We had no plans for the long weekend and just wanted to drive out west in the countryside. 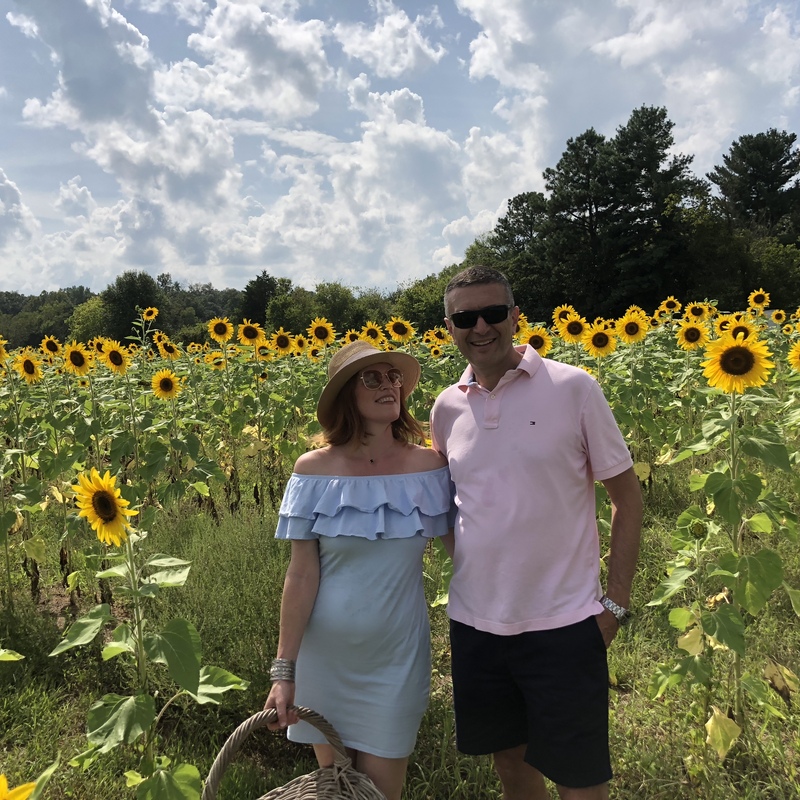 The closest sunflower field in Northern Virginia is Burnside Farms in Haymarket. We checked their Facebook page for the latest status on the crops and luckily they were open for another two days! 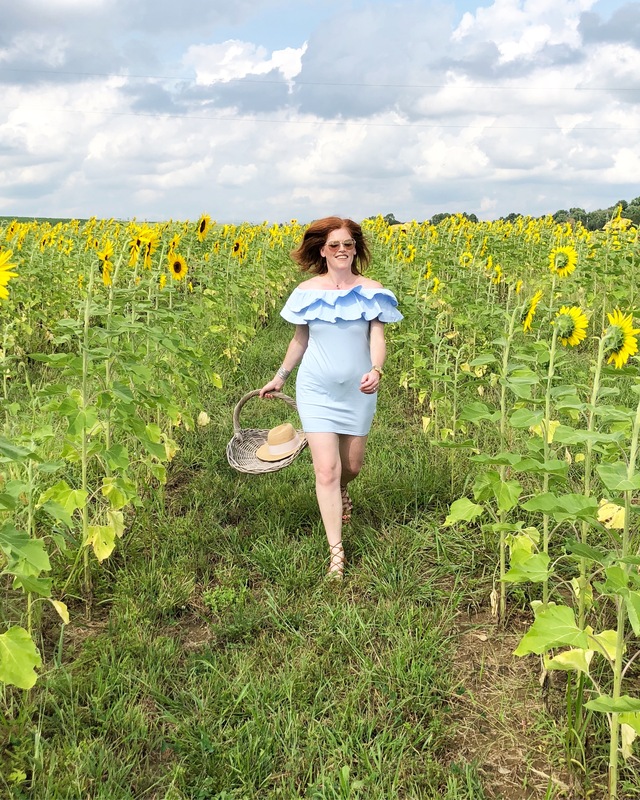 The fields are not the largest but they had 15 different varieties of cutting sunflowers in bloom or about to bloom, which is perfect for sunflower picking and a few fashion shots! 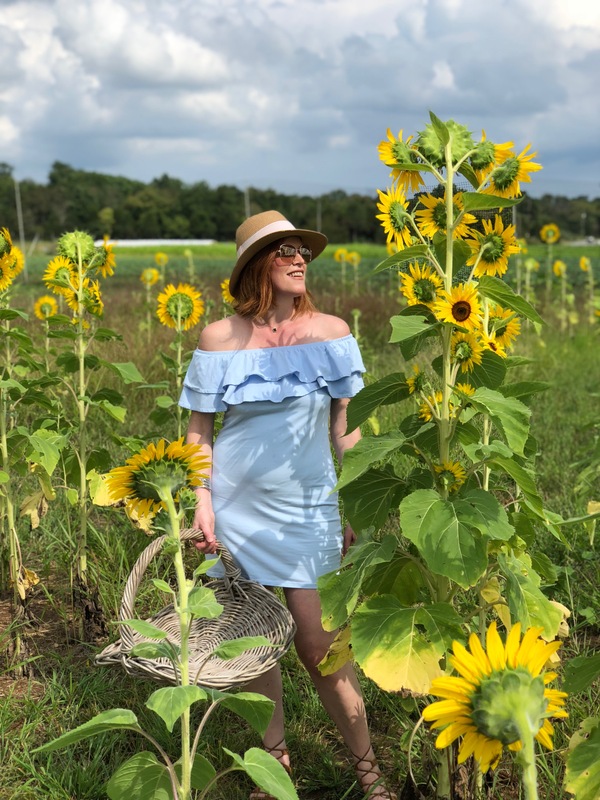 My favorite was the Giant Sunflowers field which is so pretty for pictures. Unfortunately, you cannot pick those but there were still so many other blooms to pick! Upon our arrival, we were greeted by the farm owners who handed us an umbrella, a pair of sturdy scissors and our choice of a wicker basket. 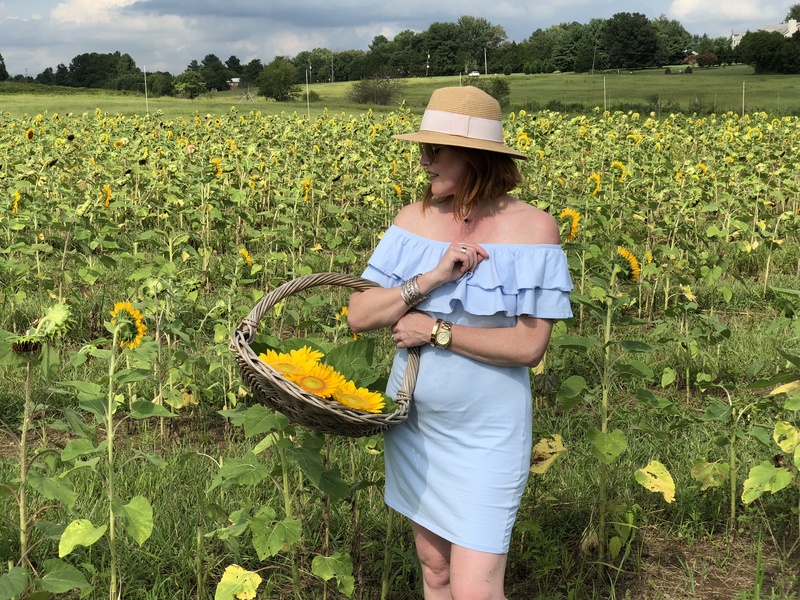 I felt such like a little girl in a candy store in the excitement of seeing so many sunflowers! It felt so good sitting in the middle of nature and being surrounded by natural beauty. It was so liberating and therapeutic! 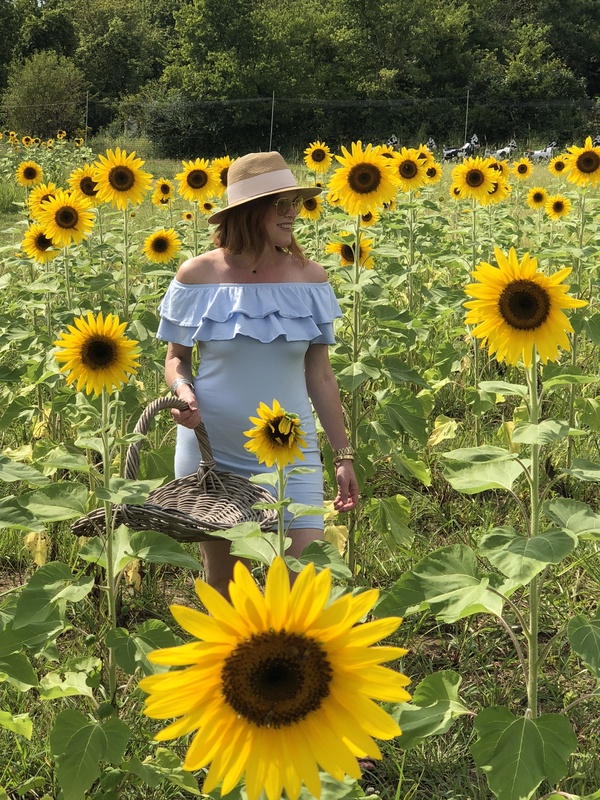 It’s so true what they say about sunflowers bringing happiness! The energy level was absolutely out of this world and we left feeling so energized! In one of my previous post “How French Women Practice Self-Care”, I talk about the importance of self-care and how going for a simple walk or just sitting in the middle of nature can bring so much positive energy and clear your mind in an instant. I always get new perspectives and feel so refreshed when I spend more time outdoors. 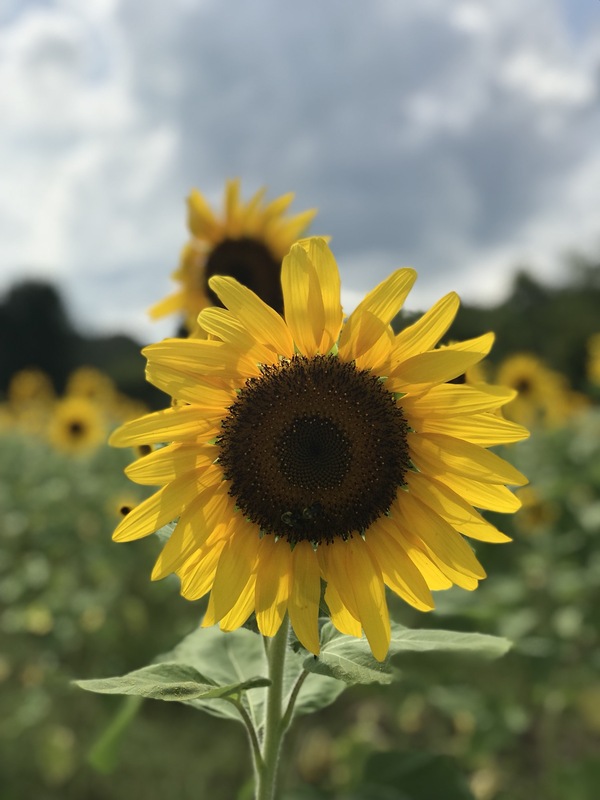 The farm is opening its first ever sunflower maze early October with fall cutting sunflowers and I simply can’t wait to go back! 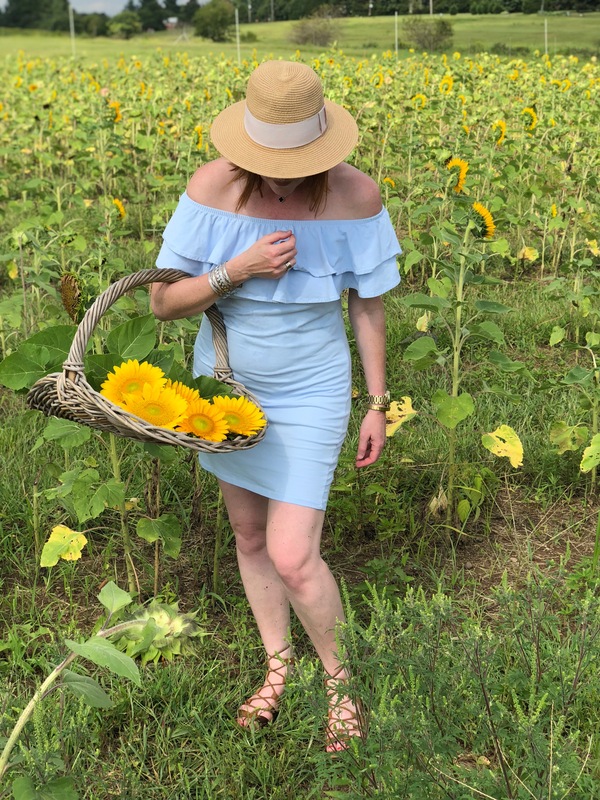 For this special outing, I picked this baby blue off the shoulder dress from H&M, which was perfect on this very hot day. The fedora hat was a must-have to protect from the heavy sun rays. You can shop this outfit on the LIKEtoKNOW.it app. Simply take a screenshot of the outfit and you will get the product details right on your phone! How beautiful! 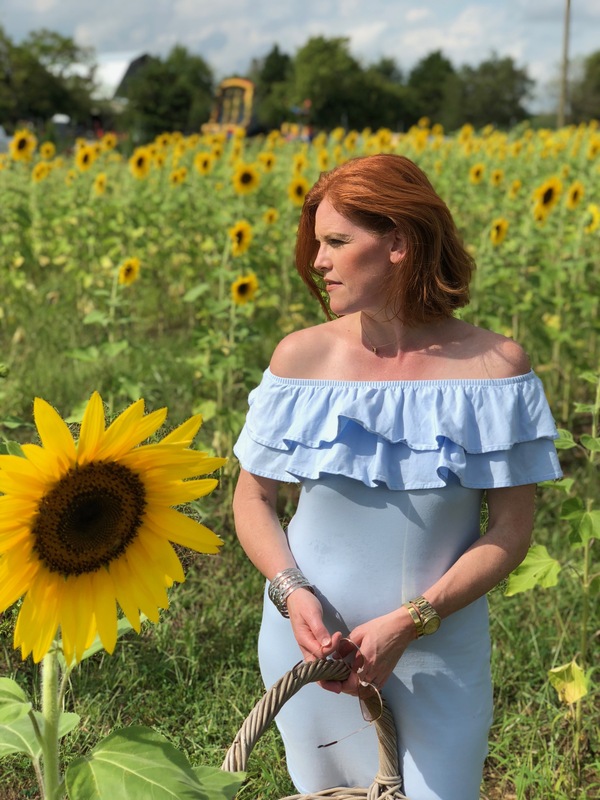 First, I love the baby blue dress you are wearing next to the sunflowers. I would love that too, I love the picture of you and your hubby too. I love being in nature, camping, or hiking through the woods. this would be fun! Thanks so much Jess! It was such a nice escape from the everyday hustle and bustle! My family and I can’t wait to go back next month! Thanks for stopping by!